You get up, go to work, then have a shorter evening than you’d like before bed. Maybe you have to bundle the kids off to school in the morning and collect them later, cook for them and watch over them. Maybe you’re single and dating even though it’s dark and cold out. Maybe you have a beloved dog to walk or a house to clean or a relative to take care of. Maybe there’s just a lot of TV to catch up on. How do you find time to write with all that going on? As a proofreader and editor I work with students, translators, prose and poetry writers. When I’m fortunate enough to get return business, the gaps are often explained as being the result of simply being too busy, or not finding the time to write lately. You can’t make more time. You probably can’t stop doing one thing to make more room for writing, either (although if your problem is TV, sort it out. No TV is that good). Lifestyles can be busy, especially when we make them busy. Are we so social because we hate to be alone? Do we succumb to all of that easy entertainment because we don’t want to have the space to think? Not only are these problems that should be sorted out, they’re also problems with a built-in solution for your writing woes: stop doing them for a while, and write about them instead, or at least the things that motivated you to do them. Take two weeks off and try. When my life gets busy, my problem isn’t that I don’t have time to write, but that when I do have time I don’t feel like it. I’m not ready to think and work after all the thinking and working I do at my day job and then freelancing in the evening and at weekends. If I feel a moment of creative inspiration, I have to get home (or at least move from one room to another) and get set up. By the time I have a steaming cup of tea on my desk and the laptop is booted up, I’ve lost it. The inspiration is gone and I’m staring at a blinking cursor in an empty Word document. A solution that works for my particular lifestyle is routine. One of my favourite writers, Haruki Murakami, has a famously rigid routine that he says not only makes him productive, but also brings him great joy. Murakami-san has the luxury of being successful enough to not need a day job, but a writing routine certainly helps the rest of us, too. Not the usual insipid “write 500 words a day, every day!” advice, but more allocate yourself a time slot amidst the chaos to write. It doesn’t even have to be daily. Just choose a particular time of the week (or day) that is set aside solely for writing. Not only will you find peace in the routine, but you might also even look forward to it. On days where your inspiration comes at other times, jump right in. Then, when your routine writing window arrives, you can rejoice in how you’re already two pages further into that thesis or novel you’re working on. Personally, I try to get home from the office and immediately start writing. My brain isn’t yet fried, or numbed from a couple of hours of evening TV, and I’m still ‘on the go’ and energised. I’ll aim for 30-60, and if I’m inspired to write for longer then I will. Unfortunately that time is usually when I want to be whipping up a quick meal and stuffing my face, so there’s sometimes a compromise. In any case, I’m slowly making progress with my creative work as a result of choosing a routine instead of hoping for a break in the storm. What is line-editing, and do I need it? As part of my short series on editorial processes, I will be looking at proofreading, line-editing and copy-editing to give some insight onto the features that distinguish them from one another. Last month I looked at proofreading. This article covers a more substantive approach, line-editing. Line-editing, unsurprisingly, works at the ‘line level’ of your text. Often confused with copy-editing (the subject of a future post), this is not a more intensive proofread, but a genuine deep edit that examines the detail of your writing to generally enhance your work. A line-editor will help with clumsy wording and sentence structure, improving your clarity and flow, and fact-checking. It could involve the moving, cutting or adding of whole paragraphs (or, if you really need it, chapters). This is generally what most laypeople think of as “editing”. 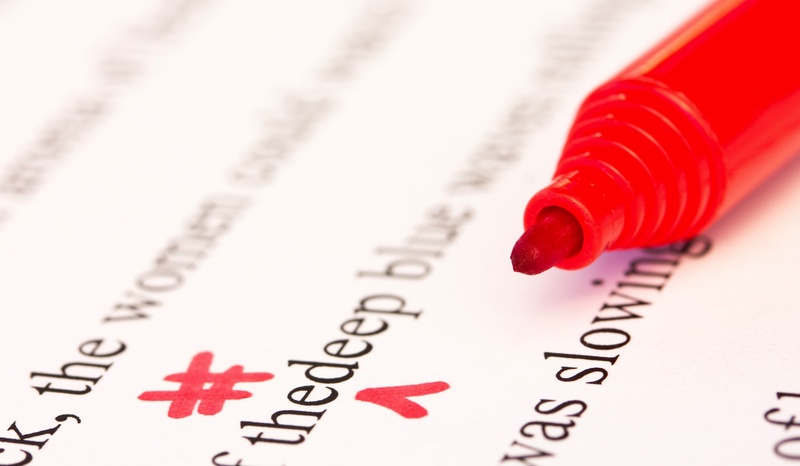 A proofreader looks for errors such as typos or obvious blunders. A copy-editor will work on things like grammar and consistency of language and regional spelling (i.e. UK or US English). A line-editor’s job usually comes before both of these things, and works hard to draw out the best from every line in your text. It could be considered “heavy editing” and, at the end of the process, you may be looking at a completely different piece of writing to the one you started with. Rewording of sentences will help get rid of unnecessary passive voice, extensive adverbs (which Stephen King described as paving ‘the road to hell’) repeated words and phrases, tautology, cliché, overwriting, and mixed or broken metaphors and similes. There’s also an element of fact-checking and improving on the writer’s general voice and style. Voice is something that I would prefer not to interfere with as an editor, but sometimes it’s necessary. Take a novel. 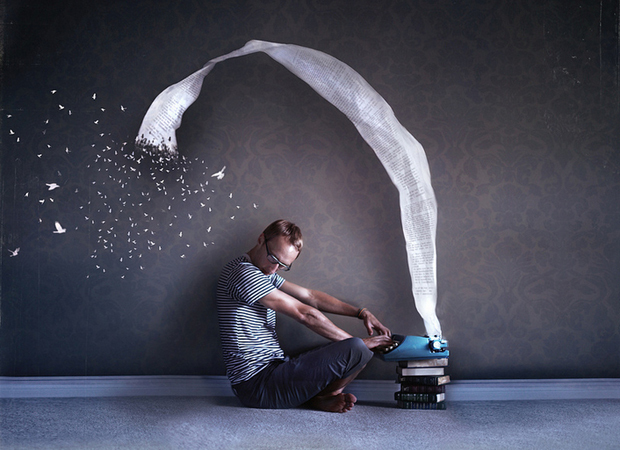 If the writer’s personal voice is too strong, it can draw the reader out of the moment and spoil the illusion that all good fiction strives for. Charlotte Brontë is often lauded for breaking this illusion in Jayne Eyre (“Reader, I married him.”) and good editors have been undoing the damage she caused ever since! Voice should not be confused with style, which is (read “should be”) unique to every writer and carries an element of their voice within it. Tone is also examined, to make sure that it’s appropriate. In an autobiography I would expect the writer’s voice, style and tone to naturally be perfectly appropriate, since it’s their story after all, but even here tone can distract or confuse the reader. It wouldn’t do to make jokes throughout the chapter of your heartbreaking divorce, for example, but the very nature of reliving such an upsetting episode could interfere with the writer’s sense of what’s appropriate for the scene. Likewise, a children’s picture book with a deadly serious tone probably wouldn’t go down so well (“I must protest, Sam-I-Am. I most sincerely would prefer not to eat your green eggs and ham.”). I generally consider my job as a line-editor to scrub out anything that holds the text back and, if possible, also elevate the text to something closer to the writer’s original vision for their work, helping with vocabulary, sentence structure and imagery. I would also work (in the case of fiction) on characterisation, plotting and originality. In terms of an ongoing editing process, I would expect line-editing to come first. Once the writer has written their first draft and given it a once- (or twice-) over and can no longer see how it can be improved, the line-editor gets a go. You could, potentially, end up with something completely different by the time they’ve finished, but it should be improved. The reason this would come before copy-editing is because there’s no use having a copy-editor scour your novel for problems with grammar, typos and other minute issues if the line-editor is going to cut that pointless dream sequence or rewrite all your dialogue afterwards. Do I really need a line-editor? How do I answer this? YES … Probably. If you’ve finished working on a blog post or some SEO content for a website, there’s a case for saying that deep editing is unlikely to be a major advantage. Generally your proofreader, if they’re feeling generous, will point out any glaring errors whilst correcting your typos.However, if English isn’t your first language or if you’re a new hand at writing, an editor will really help you to develop simply by showing you where you might be going wrong (ideally with some helpful annotations to justify their changes and suggestions). If you’re writing an essay, you’d be better off with a copy-editor than a proofreader so that you can have your grammar examined (not all proofreaders consider grammar part of their purview), and a line-editor may be of use there too. Most substantive edits will be a mixture of line-editing and copy-editing anyway, so it’s important to talk with your editor to discuss exactly what you expect from the process. Many fiction writers, when looking for an editor, are seeking a line-editor who will work on their copy too. The people who I know who have undergone a third-party editing process have always been very relieved that they did! What is proofreading, and do I need it? As part of a short series on editorial processes, I will be looking at proofreading, line-editing and copy-editing to give some insight onto the features that distinguish them from one another. To begin with the simplest, this week I’ll talk about proofreading. Most writers already have a basic understanding of what proofreading entails. Once you have written the work, a proofreader will carefully examine your text for errors in spelling, punctuation and grammar. They might mark the errors for you to correct, or they may correct the errors themselves if they’re working with a digital copy. Proofreaders don’t examine things like structure, or whether your paragraphs ‘flow’ when being read, or if they fit together smoothly. A simple way to remember a proofreader’s scope is to think in terms of sentences. The proofreader will generally work one sentence at a time, forgetting everything that comes before or after it. Are the words spelling correctly? Is the sentence correctly formed in grammatical terms? Is it properly punctuated? Is it formatted correctly and consistent with the rest of the document? Beyond this, we have ventured into the realms of editing, not proofreading. However, a good proofreader should also look for consistency in your word use, regional spelling (consistently UK or US English, for example) and presentation. If you’re working towards a style guide, they will check that you have been consistent with this (note: check that it is so, not make it so). When proofreading for clients, I personally go a little further and give a ‘semi-edit’. Most people find it very useful to know whether their sentences fit together properly (cohesion) and are easily understandable and readable (coherence and flow). 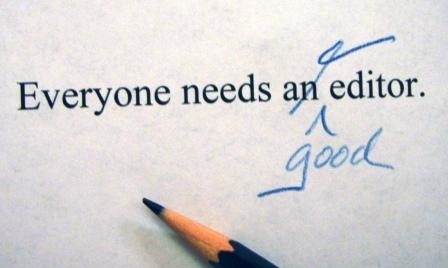 Some, but not all, proofreaders will add comments justifying their changes or recommendations. At STP Editing, this is part of the service. If you are writing an academic piece, such as an essay, dissertation or PhD proposal, then you will be assessed, in part, on your ability to write in your chosen language. It’s therefore essential to ensure that your paper is error-free. Or perhaps you’re a budding author, itching to self publish your new story, novel or poetry collection on Amazon or a similar platform? Don’t even think about it until you’re confident that it’s totally error-free and is of a publishable standard. No writer wants bad reviews based on an unpolished manuscript (trust me!). A proofreader will be able to help you with this. If you’re a business, the last thing you need in your marketing material – or worse, proposals or important reports – are simple typographical errors. Customers are less likely to engage with a business that they consider unprofessional, and a flier, website or menu riddled with errors in written English could be their first contact with your brand. Do I really need a proofreader? Maybe, maybe not. Even professional writers use proofreaders (or at least take full advantage of their publisher’s in-house editors), as no matter how many times you scour your own work for errors, there always seems to be a few more you missed the last time. It really does take a fresh pair of eyes to ensure that your work is completely without errors. I hope no offense is taken when I say that not everybody is an expert in written English. As competent or enthusiastic as a person is, they might not necessarily be familiar with the changing landscape of English grammar or totally conversant with the finer points of syntax or punctuation. 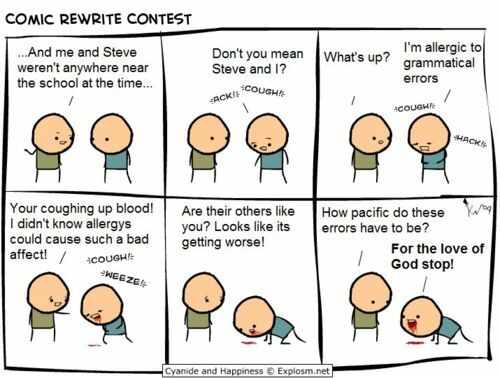 Not to mention that there may be issues that you don’t recognise as errors: incorrect capitalisation, mixed or broken metaphors, and incorrect spelling and punctuation are common. A word processor won’t necessarily know that you haven’t written what you meant to write. If you’re thinking of hiring a professional proofreader or editor to look at your essay, thesis, fiction, CV or business report, then you aren’t the only one. This is extremely common practice across the world, and there are a lot of resources available to make this simple and easy for you. There are several websites for hiring freelancers. Elance.com and Freelancer.com are two popular examples. As a freelance editor and ghostwriter, I prefer Freelancer.com for its ease of use and the quality of the projects that are available. Think of these sites as a kind of eBay for services. You, the employer, will post a project listing your requirements, budget and deadline, and freelancers will tender for the job. One of them might be me, so keep an eye out for the best! Look at this guy! He looks so hardworking and honest. You’d trust him to babysit your kids! Hire the cheapest freelancer. I hate to use adages, but “you get what you pay for” is true for editing and ghostwriting services too. The cheapest are often non-native speakers with poor skills, or actually agencies disguised as individuals. If someone seems like the best person for the job, this should be your priority, not the fee. Maybe it will be worth spending those few extra quid. Expect a freelancer to sign a contract just because you asked. You might think an off-the-net non-disclosure agreement or ghostwriting contract is sound, but most freelancers aren’t lawyers and you probably aren’t either. If you feel a contract is necessary, work with your freelancer to write one that is as simple as possible that you can both accept – it’s still binding, with the added advantage that you both actually know what the hell you’re signing! Disrespect the professional. Just because you’re hiring someone it doesn’t mean you can treat them like dirt. A lot of people subconsciously watch others for the ‘waiter rule‘, so behave like someone is watching (often there is: most freelance sites have a dispute and arbitration team). You will get better results by building rapport and acting sympathetically towards your freelancer’s other commitments and responsibilities. So be cool, guy. Be clear with your requirements. My favourite employers are ones who tell me exactly what they expect from me. That way I can do a great job for them first time without any complications or second attempts. It works out best for everybody that way, so don’t feel that you’re asking too much by spelling out your project requirements. Choose your freelancer carefully – very carefully. There are a lot of freelancers out there. Some of them are underqualified, and some are downright shifty. If you’re writing in English, you will get better results hiring someone who’s native language is English. This may sound obvious, but there are a lot of people on freelancing sites, particular from India and Africa, who have convincing proposals and highly-rated reviews. However, I’ve spoken first hand with people who have paid for well-written proposals, and many reviews are from employers in their own countries who don’t necessarily realise they have received a substandard product. Be wary of profiles that don’t have an individual touch, such as a photo – a lot of ‘freelancers’ are actually agencies, where one person with decent English skills subcontracts to lesser-skilled workers in exchange for a commission. Chat to your freelancer before hiring them and be prepared to ask blunt questions. Ask for testimonials and/or samples. One way of weeding out the dodgy freelancers is to ask for testimonials and samples of their editing work. These can be faked too, but if you’re really astute you will probably spot those that might be copied off the internet, or with annotations written in a style different to your freelancer’s manner of speaking. If you’re hiring via a site like Freelancer.com, check out the freelancer’s reviews in detail instead of just relying on the overall rating. Have fun! Your editor is a person too, and however professional they behave they are just as likely as you to want a friendly chat and how-d’you-do if you both have the time. Especially when working on longer texts like theses or novels, you’ll be spending a lot of time talking to one another, so don’t be afraid to get to know your editor, build a rapport, and enjoy the process! 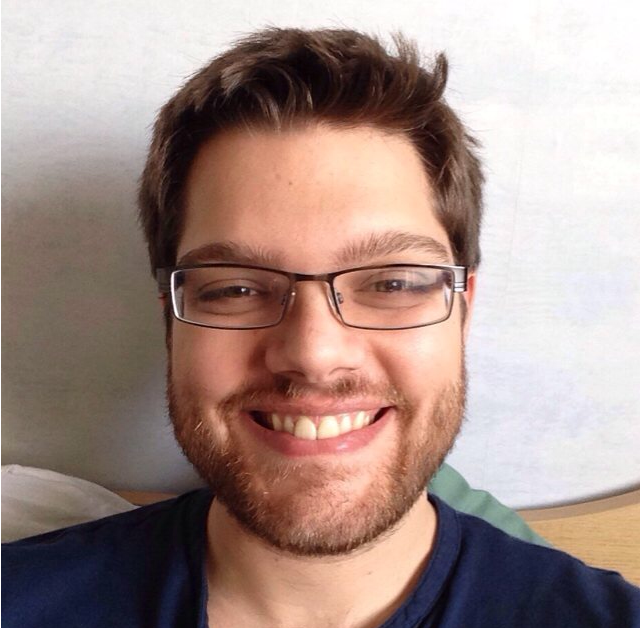 David Brookes is a freelance editor in the UK. You can hire him via the Contact page or his profile on Freelancer.com. Five years ago, after years of toil, I finally got my first novel published in paperback. Half Discovered Wings is not easy to define in terms of genre: it is ostensibly fantasy, in the broadest sense – it features monsters and supernatural/spiritual elements – but it is also science fiction, in that the post-apocalyptic world in which it is set has a history of high technology (sci-fi is a sub-category of fantasy in any case). Prior to finally being accepted by a publisher, Libros International in 2009, the novel underwent six drafts and a title change. Characters were cut, scenes were removed or changed, even the dialogue was completely re-written for some characters. There are still many characters (possibly too many) and a good 142,000 words remaining, but since all of these characters are integral to each other’s stories, and since all those words are necessary to describe those characters and the world they inhabit, I realised that I could cut no longer. It then became merely a proofreading exercise. Since I wrote the first draft in 2003, my literary ideology had changed, and each successive draft was what I hoped to be a significant improvement. I was developing as a writer and I wanted my novel to reflect my best efforts. For the past few months I have been working to create another version of Half Discovered Wings, what I will optimistically call the definitive version, for ebook release. Revisiting this nostalgic reality has reminded me of another difficulty: that of terminology. Science fiction runs the knife’s edge of being scientific enough to interest a certain kind of reader, using big ideas to either speculate or explain, whilst still being readable and enjoyable enough to sell copies. Fantasy does the same – take a look at the difference between The Hobbit (fun and readable) and The Silmarillion (Biblical syrup), for example. Many people have told me that they never got into The Lord of the Rings because there were too many unfamiliar names and words. Some readers shy away from sci-fi for the same reason – they would rather have a story instead of half a chapter describing how a faster-than-light drive works, or precisely how time travel is possible. Forget that: just get on with the story. And I sympathise. There are several original terms of Half Discovered Wings, so many that my editor suggested I insert a glossary at the back of the book. I reluctantly agreed. What does it matter what the term ‘sanguilac’ means when the reader is being shown what these blood-sucking creatures are (a basic knowledge of Latin would help also)? Still, if even one reader finds it useful, why not? For the rest of you, please don’t feel patronised. In Half Discovered Wings I also wrote a character nicknamed Caeles, which is Latin for ‘dwells in Heaven’. The irony is that he is far from angelic, embittered by over a century of grief and warfare. Caeles is a cybernetic organism, a cyborg, created to fight in the radioactively- and biologically-hazardous battlefields of a distant war. He is a relic from this world’s sci-fi past, and understandably he is treated with suspicion and fear by the relatively ignorant inhabitants of its present. One piece of terminology I struggled with was ‘cyborg’. Talk about cheesy. The term is now 55 years old, coined in 1960 by some theoretically-minded scientists (aren’t all scientists theoretically-minded?). The earliest example in fiction that I could find was in the 1972 novel Cyborg by Martin Caiden, which was the inspiration for TV’s The Six Million Dollar Man and spin-off Bionic Woman. I’m sure that many writers are used to turning away from terms such as ‘cyborg’ and ‘android’, precisely because they’re retro, slightly naff terms. But what are the modern alternatives? I recall reading a few books that created unique terms to describe their particular type of cyborg – I’m sure I’ve seen ‘Tek’, ‘Tech’ and ‘mechanoid’, for example, even though the latter is incorrect to describe anything with electronic components. I recall, years ago, wracking my brains for something like this to use. For a time I settled on the term ‘cybernetic’, utilising the term as a noun. This was vaguely original at least, but unwieldy. Having someone refer to a character as “a cybernetic” rings false, assuming the reader has a feel for the difference between a noun and an adjective. It doesn’t sound right. I don’t know how long I spent trying to wrap my head around the difference between cybernetics and bionics, and the mess of similar terms, to make sure I was using the correct one. The individual definitions are clear, but how they might apply to, say, Luke Skywalker’s electro-mechanical hand in The Empire Strikes Back is not. Is the hand bionic? Cybernetic? Is Luke now technically a cyborg? I was surprised, and secretly pleased, to see the resurgence of ‘cyborg’ as a term in comics. This is a fine example of what all writers should be doing: using the simplest, clearest language to describe what you need to describe. There is no need to be fancy, there is no need to over-explain. If a character is half machine, just call him ‘a cyborg’. The reader knows exactly what you mean just by using that one word. Its simplicity is beautiful. The image at the top of this page relates to the anime franchise Ghost in the Shell, a mind-blowing collection of manga, films and several TV series. The character in the picture, Motoko, is almost 100% machine, and usually referred to simply as a “cyborg” or “cybernetic human”. The Japanese have long been obsessed with the concept of melding man and machine. Having explored almost every avenue, in their wisdom they retain the simplest of descriptions. I may change my mind during the course of this re-write of Half Discovered Wings. It’s been known to happen during my edits. But for now I’ll stick to my own rules: simplicity is best, conciseness is best. 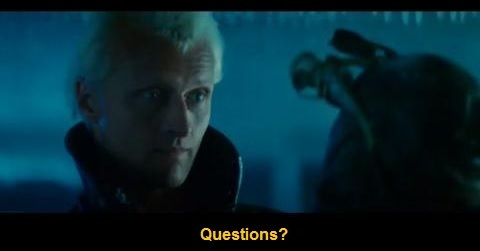 The website now has a handy-dandy FAQ section! If you have any questions about the packages available from the St. Paul’s Literary Service, you can now look them up. What level of editing service is provided? How are the changes shown? Do you provide a sample? Can you check my essay for plagiarism? What sort of things do you ghostwrite? Can you format my e-book for me? Can you give me some tips for how to get published? Do you give English lessons? Can you help me pass my TEFL course? If you still have questions, you can always use the Contact page to get in touch. Whenever I meet other writers, one of the questions that often comes up is: “How long should my novel be?” There are variations on the question, such as “How long is too long?” and “How short is too short?” I’ve spent a lot of time trying to find some reliable answers to these questions myself, and decided to write up the results for the benefit of fellow authors. It’s easiest to talk about the length of fiction in terms of word count, rather than pages. The reason for this is simple: if you say your short story is twenty pages, I would say “What size font? Double or single spaced? What size are your margins? Do you use a lot of snappy dialogue, or dense blocks of narrative?” Compare a few pages of a sparse novel, such as James Frey’s “A Million Little Pieces“, to a dense tome such as Pynchon’s “Gravity’s Rainbow“, and you’ll get the idea. Every word processor has a function to count the words in your text, so don’t be afraid to use it! Publishers will want to know how long your novel is in number of words; the same goes if you submit it to an editor or proofreader for that critical review before you submit for print or publication. If you have an idea for a novel and you’re familiar with the genre, there’s an easy way to decide how long it should be. Let’s say you’d like to write the next steamy romance bestseller along the lines of “Fifty Shades of Grey”. Go to the Romance section of Waterstones or your local bookshop (if there are any left in your area) and pick up a few similar titles. You’ll notice that, generally speaking, they’re all about the same thickness, and have similarly sized fonts within. The reason for this is that the publishers have a very good idea of how long this kind of book should be, and stick to it. If you want them to publish your novel, then you should stick to it too. One way to guess a book’s word count is to count the number of pages (say 300) and times it by 250 (average number of words per page) to get the total word count (in this case, 75,000 words). 250 words is a good guess per page, but this depends on the font size. If you want to get a more accurate calculation, open one of those Romance books (or a book from your chosen genre) and count how many words are in each of the first ten lines. Work out an average, then times it by the number of lines on the page. This will likely be between 200 and 260 words. Then you can times it by the number of pages in the book. So, should you emulate these great authors? J. K. Rowling’s “Order of the Phoenix” was a whopping 257,000 words, so should you aim for this when writing your first fantasy book for children? Hell, no. Apart from the fact that dear J. K. really, really needed a good editor in the post-Azkaban years, she was also by then well established and immensely successful. She had free rein to do whatever she liked, much to the detriment of children’s fiction everywhere. Also, books we now consider classics were often significantly longer back in the day than popular books now. Why? Because there was less competition; because they were often written and published in installments; and because being wordy and “literary” was what made one a “proper” writer and worthy of being read (although it should be noted that many authors now considered masters were thought of as trashy during their own time. Fortunately for E.L. James). My personal recommendation when it comes to choosing your word count is to go on the standard for the genre. Publishers follow these loose guidelines for a reason. There are always exceptions, so take them with a pinch of salt, but they are a handy guide. If you’re out by more than 10,000 words, then you should re-think your plot or give it a thorough editing. No doubt some people will disagree with some of these, so I encourage responses in the comments section! For some final words, and advice for debut novelists, check this part 2 of this post here. Thanks for reading!